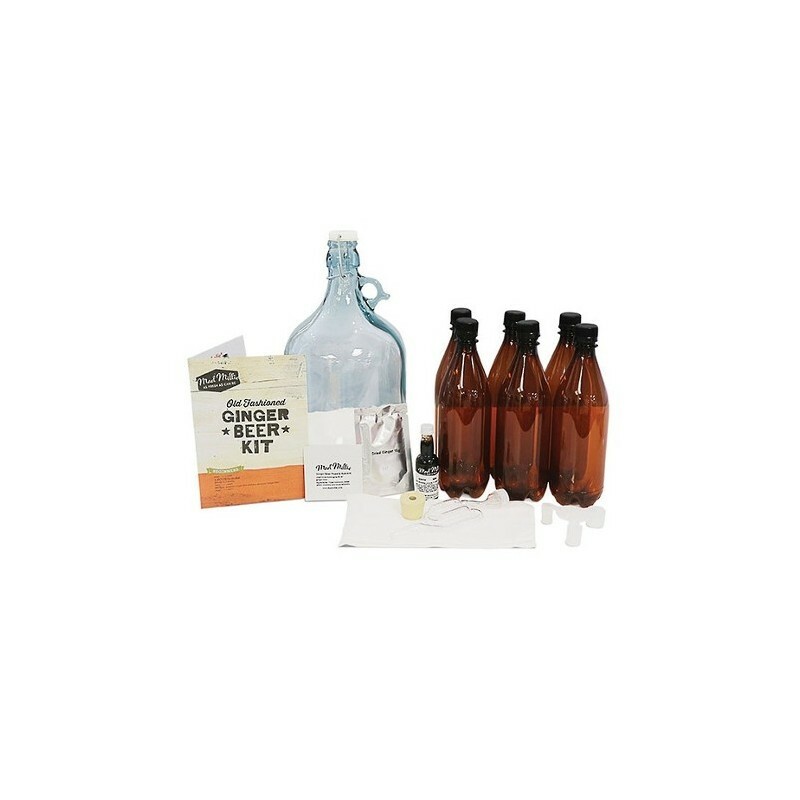 Mad Millie ginger beer kits have everything you need to get started making delicious fresh ginger beer at home. 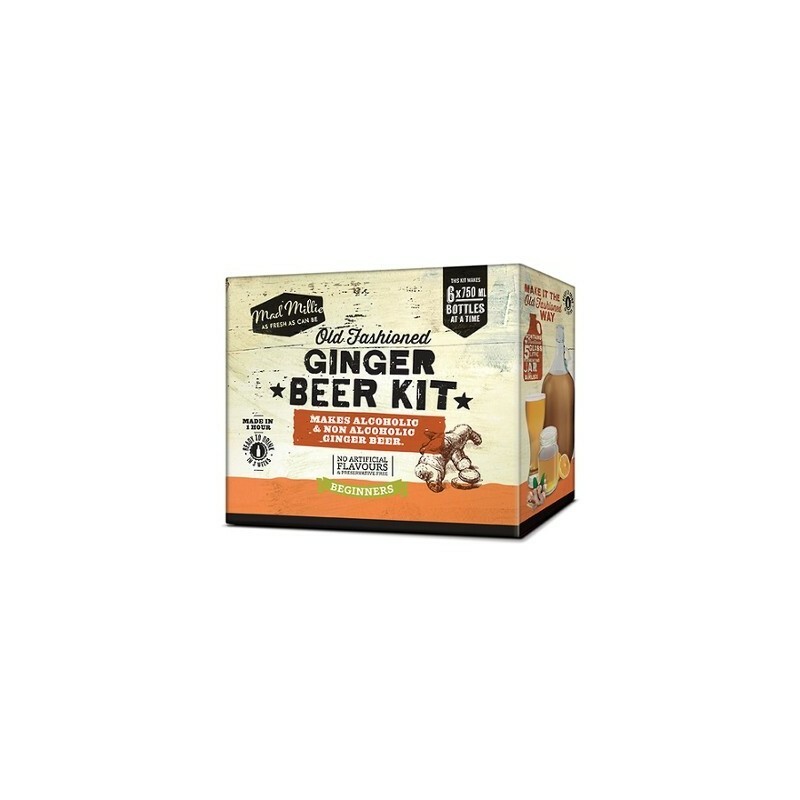 This kit makes 6 x 750ml bottles of both alcoholic and *non alcoholic ginger beer. Buying this product = 79 Reward points for Members. Your cart will total 79 points = voucher of $3.95. Not a Member? Join at checkout to claim these points. Mad Millie encourages you to discover the simple pleasure of fresh, wholesome food made with your own hands. 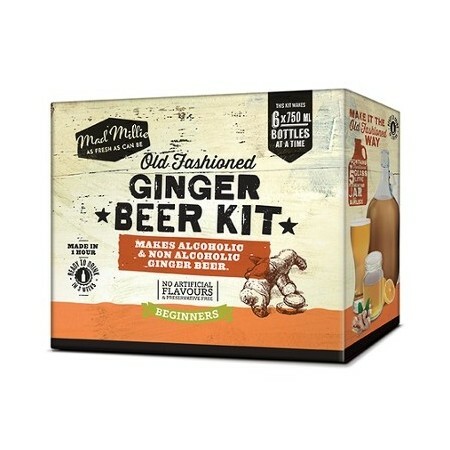 Mad Millie ginger beer kits have everything you need to get started making delicious fresh ginger beer at home. Make both alcoholic and non-alcoholic* batches of fresh ginger beer from scratch using ginger, brown sugar, fresh lemon juice, ginger beer yeast and water. This kit makes 6 x 750ml bottles of both alcoholic and *non alcoholic ginger beer.